William Burrell's famous art collection is at the centre of a controversy - should it be allowed to tour against the wishes stipulated in his bequest? Alvin Hall investigates. 70 years ago William Burrell gifted his extraordinary art collection to the City of Glasgow. Alvin Hall reveals the story of the shipping magnate who made a huge cultural impact in Glasgow, yet remains himself a shadowy figure, a 'Victorian magpie' eclipsed by the splendour of his collection. Burrell amassed the most outstanding range of Degas' works anywhere in Europe; a huge range of Chinese and Islamic Art; plus tapestries and sculptures to rival the collections of the world's top museums. 70 years ago, he stipulated in his bequest that the collection should never be loaned overseas. Debate is currently raging over whether this highly unusual collection should be allowed to travel to other museums and galleries around the world. The imposing Pollok House sits in parkland 3 miles from Glasgow. Here again, the terms of Burrell's request were challenged. He insisted that the collection shouldn't be located within 14 miles of Glasgow, concerned about the effects of air pollution on the exhibits. After his death, this was overturned when the Pollok site became available - the conclusion being that air pollution is less of a factor nowadays. A similar argument is being used in the current debate, with air travel and cutting edge techniques for the transportation of art minimising the risks. This raises interesting legal questions - and also provides a peg to dig deeper into the little-known life of the man behind the collection, and the fine art of transporting art. 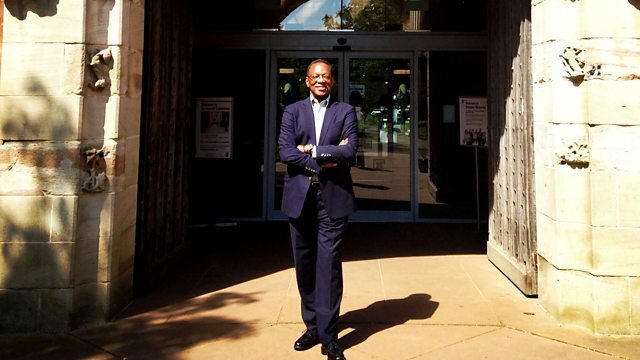 Financier and art collector, Alvin Hall visits Glasgow's much-loved Burrell Museum in Pollok Park and, by tracing the journey of the objects of the collection, gains an insight into the character of an extraordinary man, who helped transform the fortunes of the city where he'd amassed his own fortune.